Last year, the air pollution in Delhi had hit its record high at PM 2.5 and PM 10. And exactly a year later, the level of smog in Delhi has become a serious concern not only for the Indian Medical Association, but also for the Delhi Government and its people, yet one more time! The capital city has failed to meet the national air quality standards once again, but this time, the nation doesn’t want to know why. Everyone in the capital is pretty much aware of the air pollution in Delhi and its worst-case scenario which is why, the poor victims are in constant search of pollution free places near Delhi. While the search for fresh air places near Delhi is on, let’s take a look at how bad the smog in Delhi is and what are its effects so that the procrastinators can too make the most out of their weekend! While Delhiites managed to keep their Diwali celebrations low-key by bursting lesser amount of crackers in comparison to the previous year, the burning of the post-harvest paddy stocks in the neighboring states made up for it very well. Not only the smog in Delhi shot up but the Air Quality touched 999, which is the highest that the machines can read. While the short-term air pollution in Delhi can aggravate the situation of people with medical conditions like asthma, bronchitis, and emphysema, the long-term effects of air pollution in Delhi include chronic respiratory disease, lung cancer, heart disease, along with serious damage to the brain, nerves, liver, or kidneys. In addition to the respiratory problems mentioned above, there are other harmful effects of the toxic smog in Delhi. The particulate matter in smog can get absorbed in lungs and blood, and lead to to severe respiratory and cardiac problems. 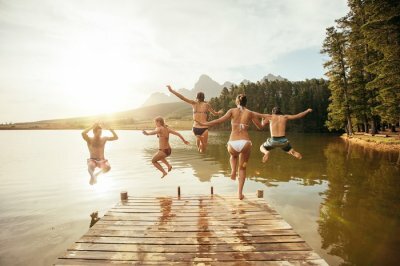 Hence, for those who feel they’ve suffered enough, and are still suffering in the aftermath of stubble burning in the neighboring states, this would be the right time to escape the smog in Delhi and refresh your senses at these nearest weekend getaways from Delhi, that too without burning a hole in your pockets! 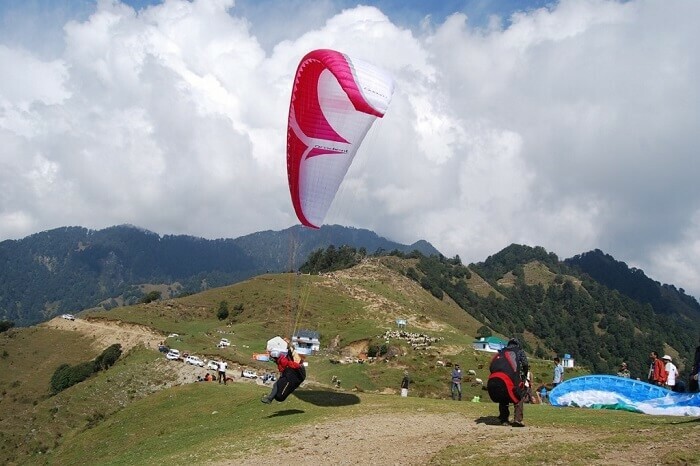 Bir, a small village in Himachal Pradesh, shot to fame after hosting the first ever Paragliding World Cup. 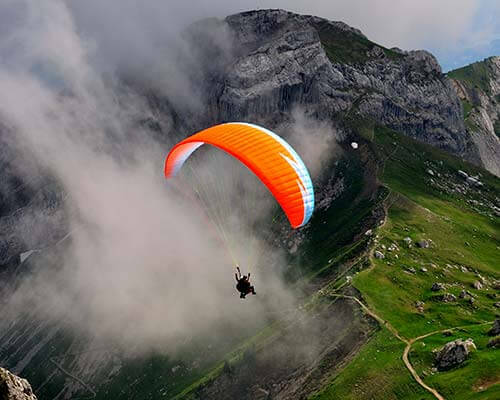 Not only is it one of the best spots for paragliding in India, but it is also a noted centre for ecotourism, meditation, and spiritual studies. And the presence of the several Buddhist monasteries & a stupa in its Tibetan refugee settlement makes it one of the most beautiful places to escape the smog in Delhi. 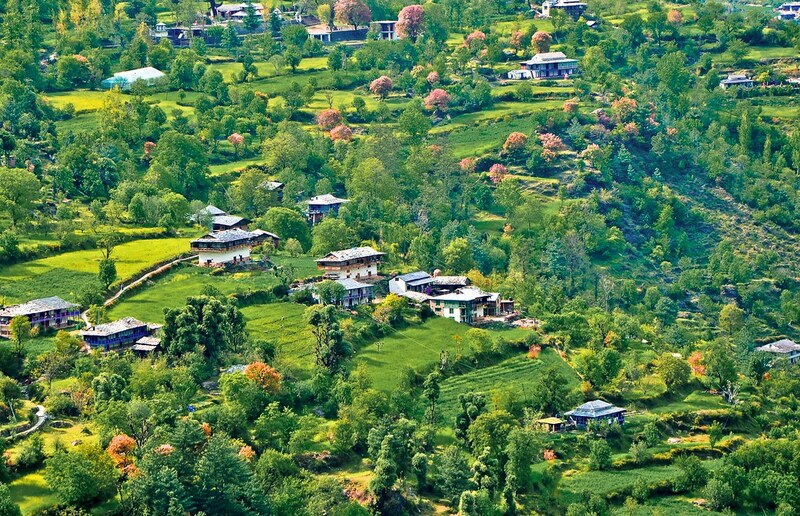 Among the offbeat places to visit in Uttarakhand, Chakrata is ideal for those looking for tranquility, peace, and beautiful settings of the hills. 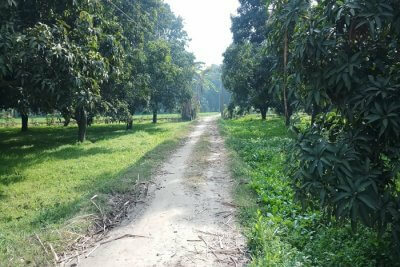 The small & secluded town is an ideal destination to escape the air pollution in Delhi. The Tiger waterfall here is one of the highest waterfalls in India. The other highlights of this weekend getaway near Delhi include Budher Caves and beautiful postcard-size houses. 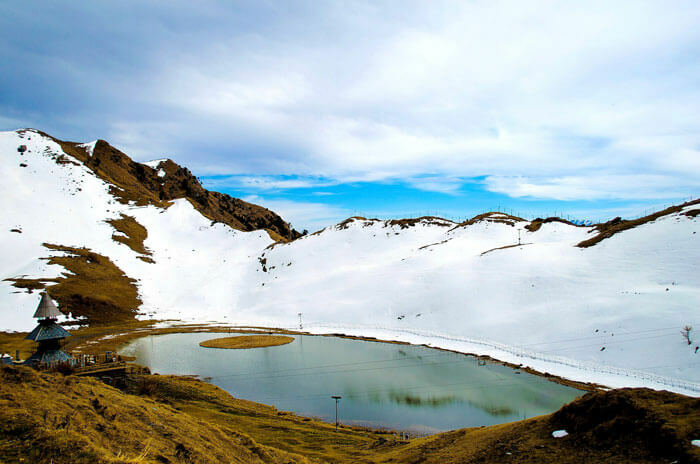 Located in the Mandi region of Himachal Pradesh, Prashar Lake is one of the offbeat trekking spots in Himalayas. Its crystal clear waters and the surrounding snow-capped hills attract the adventure junkies from around the nation in winters. 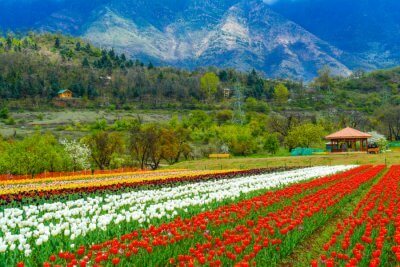 And during the summer months, the same hills are covered with beautiful species of flora unlike the smog in Delhi. 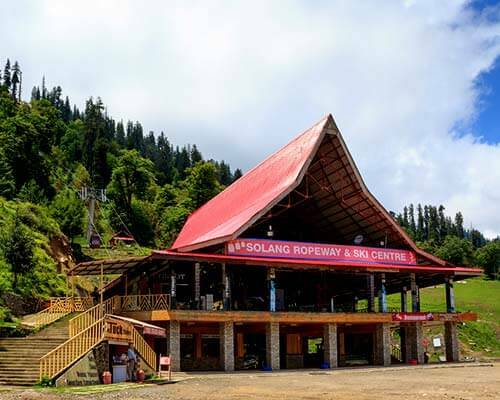 The 3-storeyed Pagoda-like temple and the breathtaking 180° views of the Dhauladhar, Pir Panjal, and Kinnaur mountain ranges add to the charm of this destination. 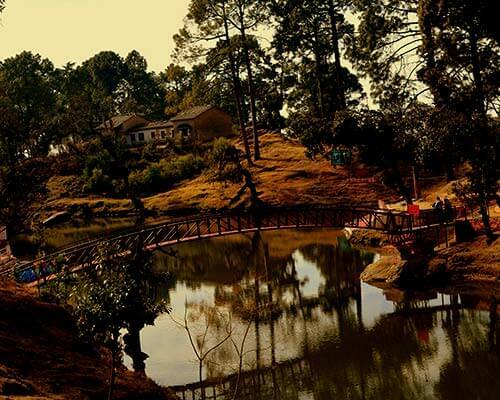 Dhanaulti is a small town near Mussoorie that is an ideal destination to be included in your holiday to Uttarakhand. 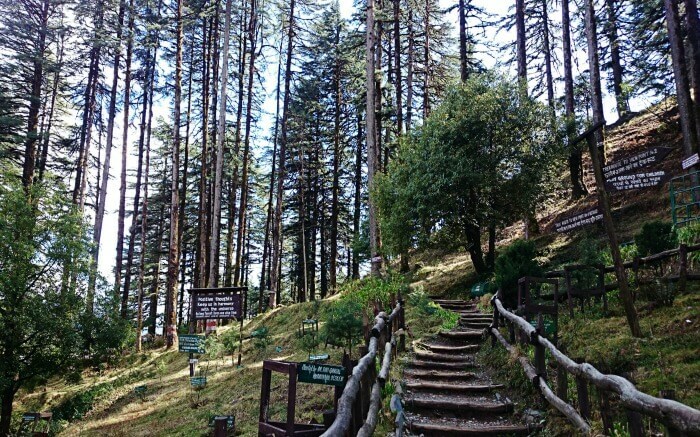 For those looking for escape the air pollution in Delhi, Dhanaulti is one place that must be definitely considered for the same. 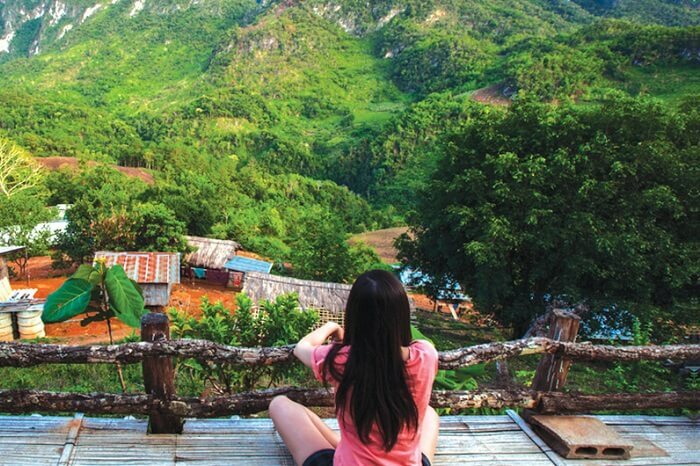 The destination not only offers solitude and peace, but it also offers a plethora of fun & adventurous activities – trekking, mountain biking, rappelling, ziplining, and camping. 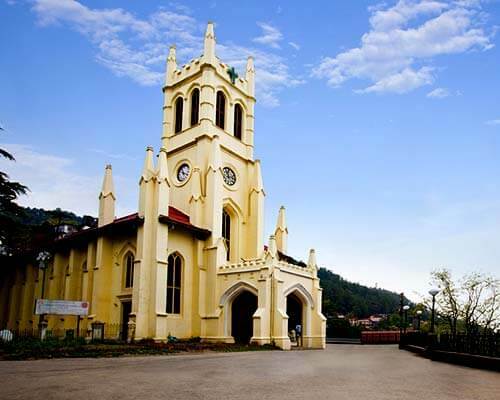 Located only 18 kilometers away from Dhanaulti, Kanatal is one of the offbeat places to visit in Uttarakhand in winter. 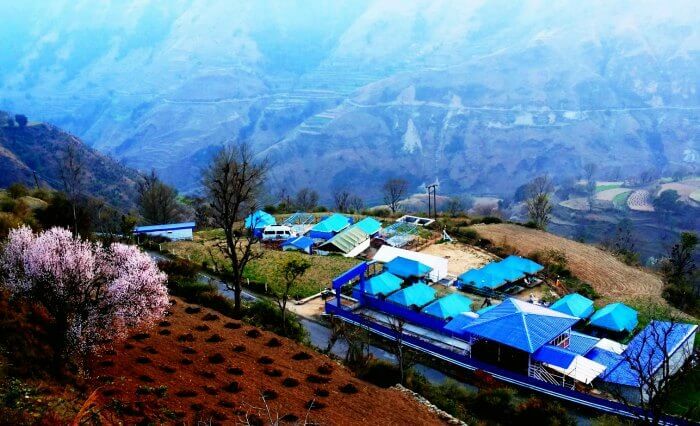 In addition to its serenity and picturesque views, the camping facilities here makes it one of the best weekend getaways away from the smog in Delhi. 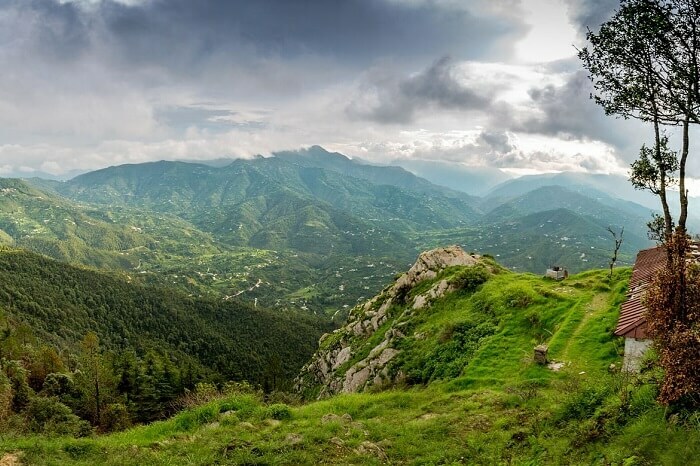 A small town in the Nainital district of Uttarakhand, Mukteshwar is one of the lesser known weekend getaways from Delhi. 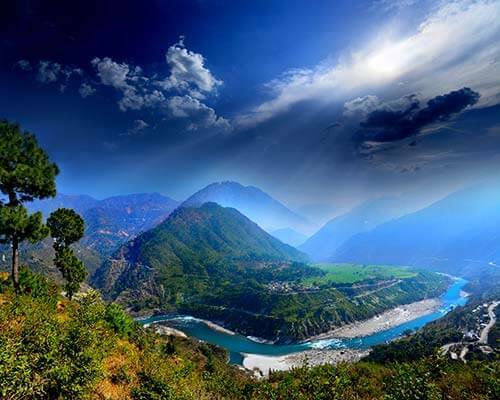 The unspoilt & unpolluted beauty of this quaint hill town, along with the splendid 180° views of the majestic Himalayan range have increasingly gained a lot of attention from the offbeat travelers. 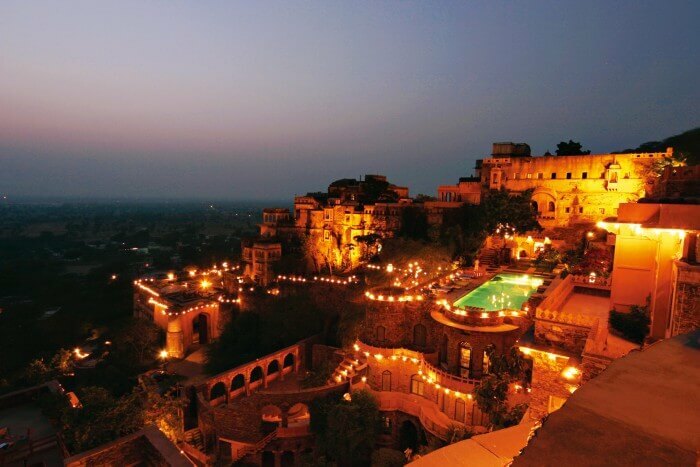 The Neemrana Fort, located at the heart of the Golden Triangle, is a hill-top fort that has been a popular site for destination weddings. Among the most romantic places to visit near Delhi in winters, the fort is an ideal escape for the lovebirds from the high levels of air pollution in Delhi. 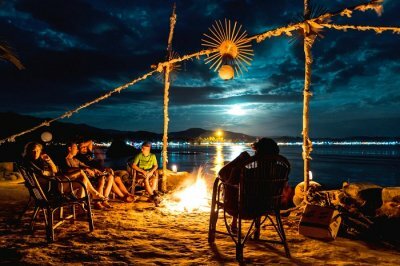 Must Read: Kasol New Year Party: Step Into 2018 On A High Note At These Famous Festivals & Events! 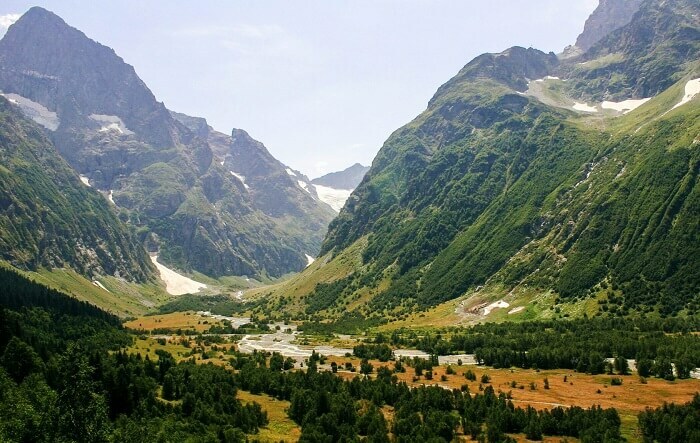 Satiate the wanderlust of your inner adrenaline junkie with an exhaustive yet high-on-adventure Kheerganga trek in Kasol. 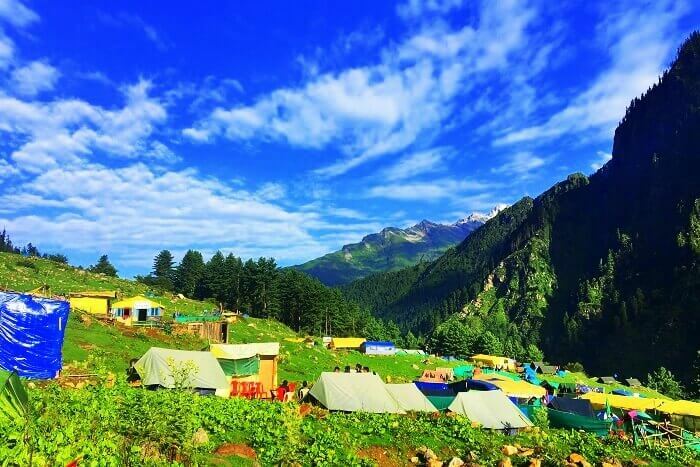 Away from the smog in Delhi, this haven of rave parties is also much famed as a trekker’s paradise which serves thousands of travelers especially over the weekends. 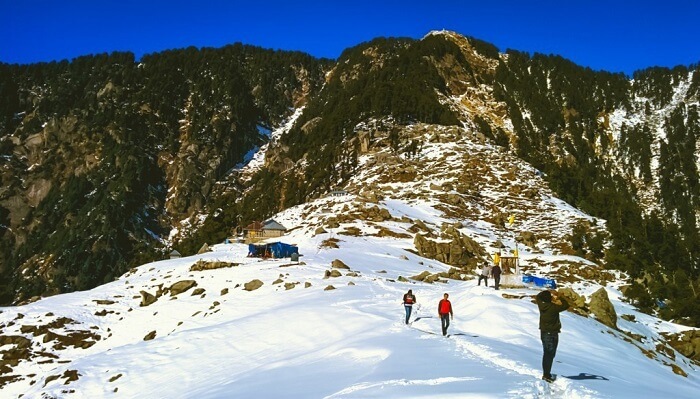 One of the best places to chill with friends, follow this guide to Kasol that will lead you to the heart of Kasol and Parvati Valley, effortlessly! 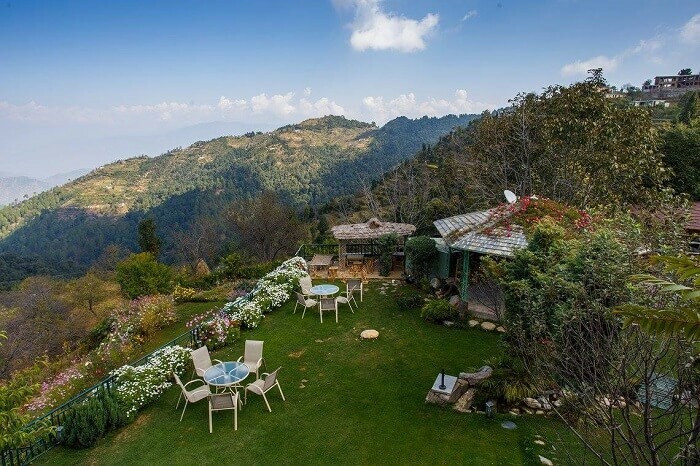 Set at an elevation of about 1700 meters above the sea level, Lansdowne is one of the most picturesque hill stations located in the heart of Uttarakhand. 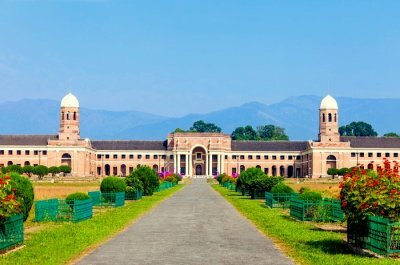 Though this quaint hill station serves as a great host to a number of adventure activities like trekking, valley crossing, and ziplining to make the most of the weekends, camping in Lansdowne is one adventure activity that is a must-experience for those looking for a respite from the air pollution in Delhi. 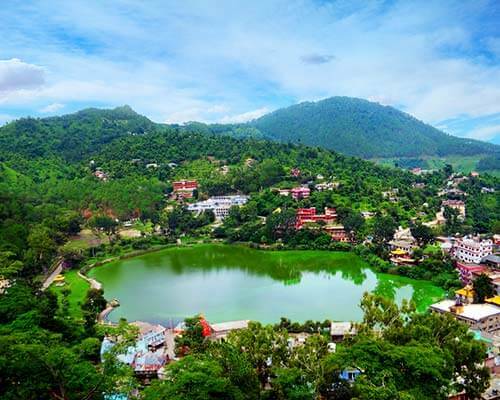 Having soaked all the goodness of nature, Mcleodganj is one of the favorite destinations for majority of the travelers who are looking forward to an awesome weekend in the Himachali hills. From fun-filled boating in the Dal Lake to trekking to Triund, a myriad of things to do in Mcleodganj await the adventure enthusiasts who’re looking forward to escape the smog in Delhi. Considered to be an apt site for experiencing activities like river crossing, rock climbing, and trekking, the hidden gem of Tirthan Valley yet remains unexplored to its greatest potential. Much famed for being an adventure capital in the heart of Himachal, make sure you enjoy some trout fishing on your next trip to Tirthan Valley. Wear masks that are available at various prices, ranging from INR 7 to INR 2,200. Install air purifiers in houses and workplaces. 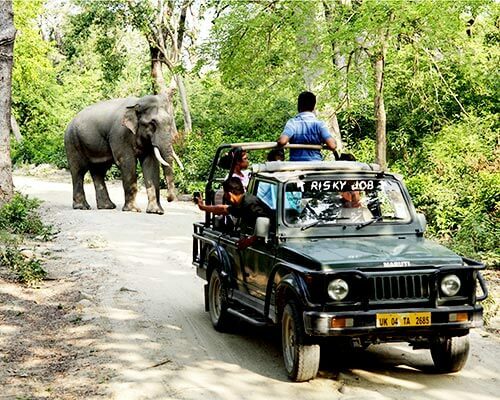 Just take that much needed break and head out for a holiday to any of the above mentioned tourist places near Delhi over the weekends. So what are you waiting for? 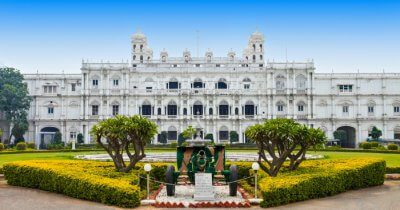 Get going to these pollution free places near Delhi, and enjoy a smog-free weekend with TravelTriangle. Book Now!